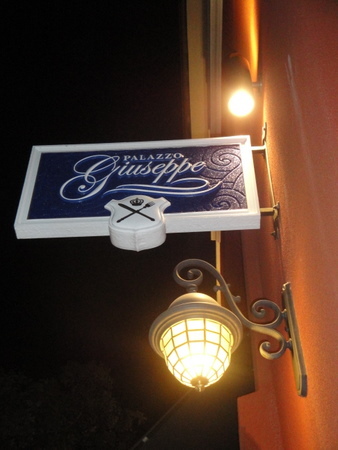 On a recent family visit to the college town of San Luis Opisbo, we dined at a lovely Italian eatery- Palazzo Giuseppe. Dinner was delicious! Shortly, after we cleaned our plates, I excused myself to investigate the bathrooms. (I just can’t help myself). 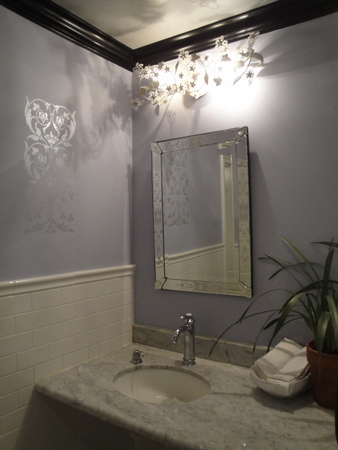 I pushed through the door and was immediately struck by the soft lavender walls, crystal, floral light fixtures and delicate metallic stenciling. Was I in the same restaurant? I was expecting a classically furnished, dark wood, old world, Italian theme, but instead I was greeted with this soft, ethereal, quasi-French look! I love surprises, especially when they involve beautiful design. The color palette is simple but refined and very soothing. 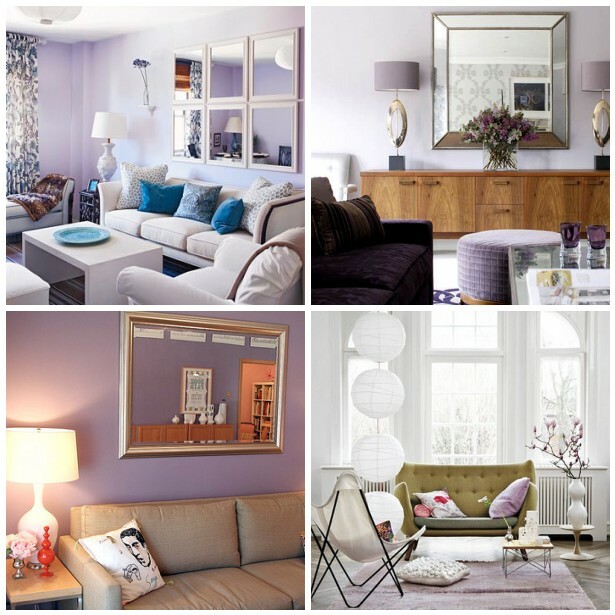 Lavender is actually quite versatile – whether on your walls or in your furnishings and accessories, it can be paired with a multitude of other hues, and falls elegantly in line with both modern and traditional looks. 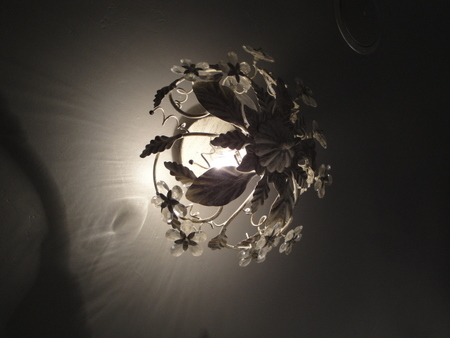 Love the light fixtures?…check these out here and here. 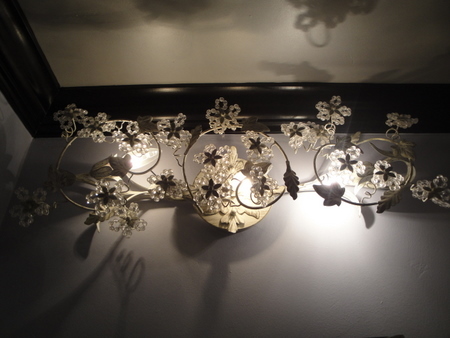 Shimmering embellishments on the wall added an unexpected layer of decoration. Find some gorgeous stencils here and create the look in your home. 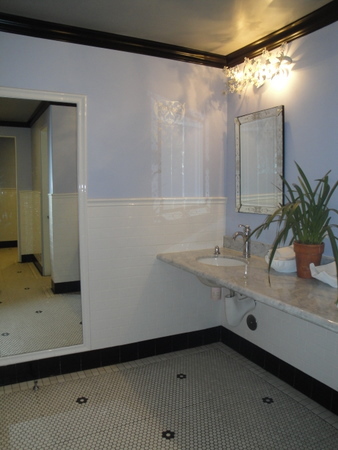 I’ll be back with more I SPY Bathrooms for you! Stay tuned.